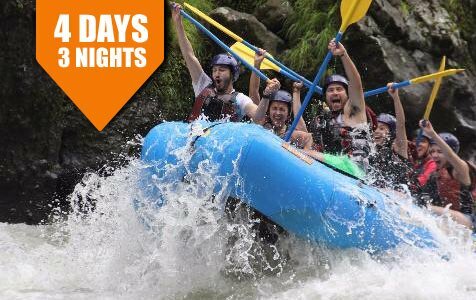 On this unique package you will experience White water rafting on the amazing Pacuare River, spend two amazing nights in one of Costa Ricas most pristine lush rain forests with amazing views of the Turrialba Volcano and will still have 3nights/4days to soak up the sun and relax in Caribbean Coast. 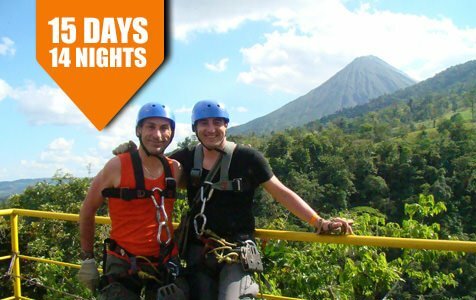 On this excursion you will discover the best the Caribbean has to offer in both countries, Panama and Costa Rica. 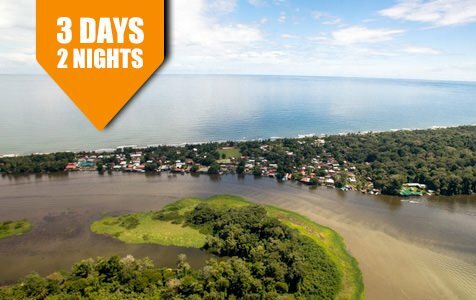 You will start your trip with a non-stop flight from Panama City Albrook Terminal to the quaint little island of Isla Colon with the main town being Bocas del Toro, Panama. Arrive to Puerto Viejo via an exciting whitewater river rafting trip. 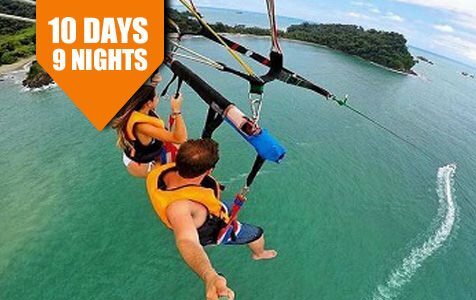 Then discover the best the Caribbean coast has to offer in two countries, Costa Rica and Panama. 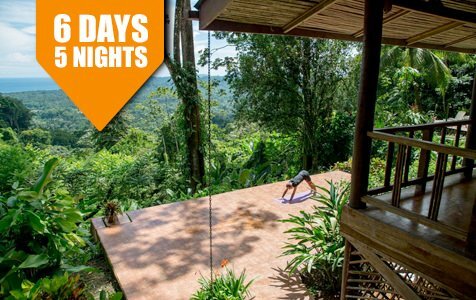 This is the best that Costa Rica has to offer: 9 nights (or more) in total with 1 night San Jose, 3 nights Manuel Antonio beach , 3 nights Arenal Volcano with hot springs and volcano viewing and 3 nights in Puerto Viejo. This Adventure package is a variation of our Pacific – Caribbean Trek. It is designed for those who want adventures and seek excitement on their vacation. 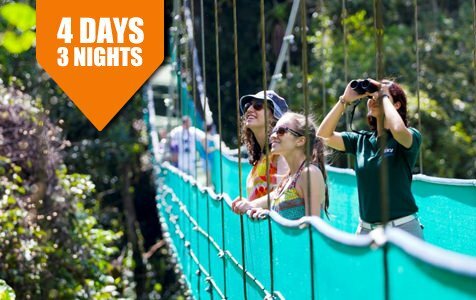 This package says it all because you’re going to get wet on the whitewater rafting trip and you’re going to see lots of wildlife on your jungle zipline and canopy tour or the Cahuita National Park. You will experience stunning Volcanoes, pristine lush rain forests, and will still have plenty of time to soak up the sun and relax on some of the most stunning and remote beaches in Caribbean Coast. 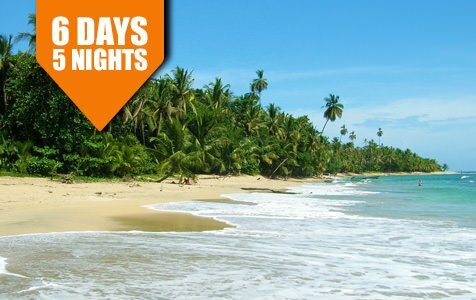 You will experience two amazing nights in one of Costa Rica’s most pristine rainforests and relax on some of the most stunning beaches on the Caribbean coast! We’ve specially designed this package to be for your honeymoon or if you and your loved one simply need a romantic getaway. Couples massage in a private massage Bungalow! From Puerto Viejo we are only a few hours across from the border of panama where we can find Bocas del toro this is beautiful and the most unique set of island you can find. Imagine being able to see the Pacific coastline of Costa Rica in one direction and the other direction the towering peak of the Arenal Volcano. 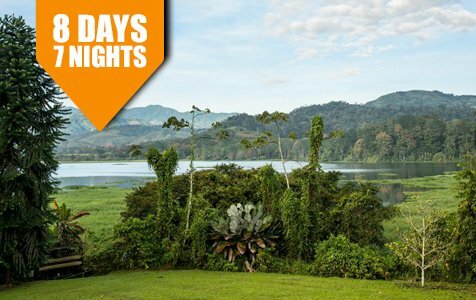 This is the very best place in Costa Rica to spot wildlife. Monkeys, sloths, crocodiles, toucans, and many colorful frogs and insects are all common sights. 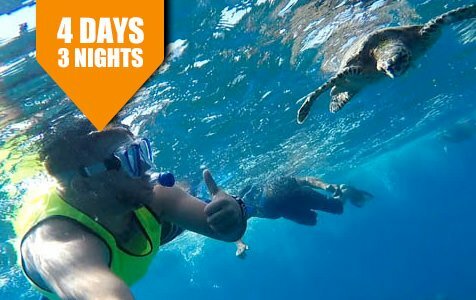 Combine two of the Caribbean’s best activities in this three day/two night trip. 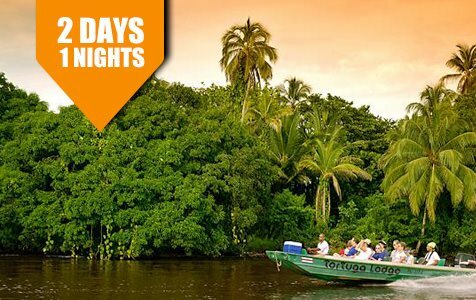 Or add an additional day/night in Tortuguero to make it a total 4-day package. The Osa Peninsula represents a singular experience, with breathtaking views and the country’s most abundant wildlife. 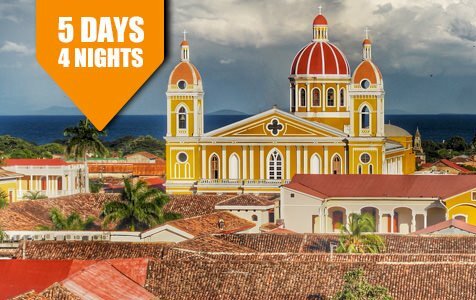 Nicaragua is set between the Pacific Ocean and the Caribbean Sea, this Central American nation known for its dramatic terrain of lakes, volcanoes and beaches and is rich in culture.